Beech Mountain Brewing Co. Brewhouse offers an intimate setting to watch your favorite band. Watch our brewers work as you sip on a cold one. This event is FREE and tickets are not required to enter the venue. The Brewhouse is located in the resort village, adjacent to the fire pit. 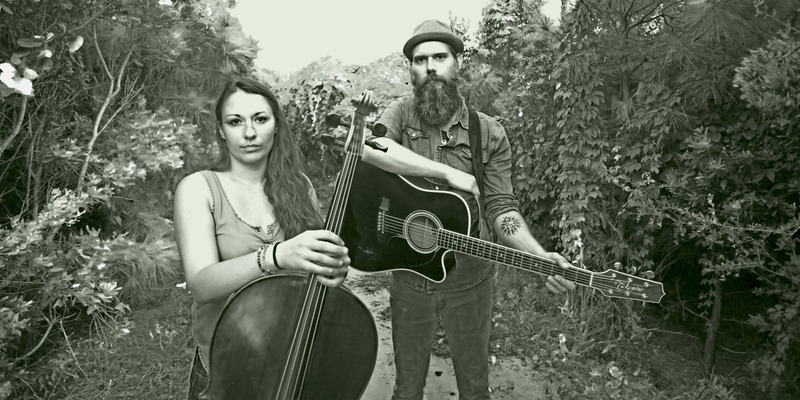 South Carolina based indie folk/Americana duo Jeremy Dunham and Kerrine Gifford doubled down and dubbed themselves “Sweet Sweet” to describe the fresh and inviting way they blend the elegance and mood of her cello with the rustic roots of his acoustic guitar. Those sounds, combined with foot driven percussion textures that range from gentle to raucous, are the foundation behind the singer-songwriters’ gorgeous lead and harmony vocals – and simple yet emotionally hard hitting songs filled with heartfelt tales and whimsical Southern Charm. The two capture their innate chemistry perfectly in the two word title of their debut EP In Tandem. Jeremy and Kerrine, both transplants from the Northeast who have lived in Myrtle Beach for over a decade, bring unique individual histories to their group dynamic. As a kid, Jeremy remembers “stealing” his dad’s guitar and playing it while he was at work. When he graduated high school, he was already in a working band – and he has spent the last few decades playing in numerous groups “from the school of hard rock.” Kerrine started playing cello in middle school and studied cello performance at Coastal Carolina University. She joined the choir in college but until joining forces with Jeremy had never mastered the art of playing her instrument and vocalizing at the same time. The two met in 2010 when a mutual friend invited both to help develop a musical project called John Owens’ Journal, which did some recording and occasional live performances. Between those gigs, Jeremy and Kerrine began booking themselves as a duo for weddings, playing guitar/cello instrumentals of contemporary and classical pieces. Since discovering their dual vocal magic and officially launching as Sweet Sweet in 2014, they’ve evolved from a soft Damien Rice-influenced vibe to a fuller indie pop sound. Building a local following at hotspots like Klocker’s Tavern, Bubba’s Love Shack and Pawley’s Island Tavern, the duo recently started touring throughout the Southeast, performing throughout the Carolinas, Georgia and Florida. On one of their stops in Orlando, they tracked two of the songs from In Tandem at Full Sail University.